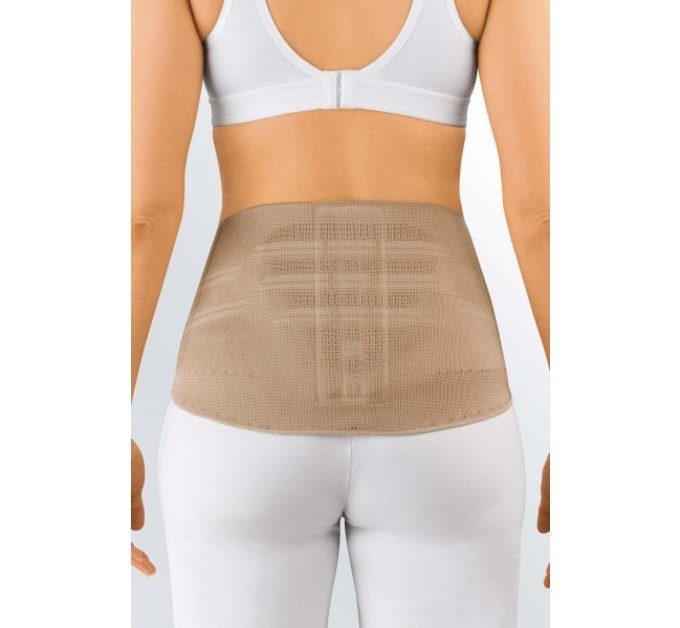 The Women's Lumbamed Plus lower back pain support, is a female specifically designed back brace support. The design incorporates anatomical female specific features for an extremely comfortable fit. 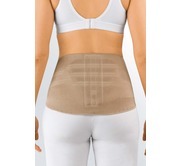 This is a technical lower back support and the degree of comfort and support obtained, combined with the options of using the inclusive Vario pad or adding the Thermo heat pad you will be purchasing a superior grade of premium back support which has been developed and manufactured in Germany for ladies. The knitted fabric has many benefits. The technology involved within the defined compression gradients of the support help provide the maximum degree of compression over the exact required points whilst allowing those areas requiring less to remain supported but allowing freedom of movement for you. We are currently able to offer a FREE Thermo pad worth £9.99 with each support. While stocks last. 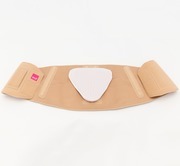 Vario flex pad helps relieve discomfort over the sacro-iliac joints & lumbo-sacral junction. Clima Comfort technology reliably removes perspiration keeping you cool and comfortable when wearing your back support belt. Clima Fresh system ensures antibacterial freshness and prevents odour development within the belt. Integrated soft comfort zones ensure maximum comfort & freedom of movement. Anatomical designs specifically for women to ensure best fit. Very comfortable when worn directly over your skin due to integrated technical zones. The Thermo pad can be bought separately. 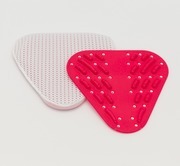 This sits on the inside of the support giving you a direct heat source to target your muscle spasm and lower back pain. Currently FREE while stocks last. Easy to put on due to integrated hand loops so ideal to use with arthritic hands or fingers. Take care when ordering the belt that you take the correct measurment. The ladies support belt measurment should be taken from the hips and not the waist. To obtain the correct size measure around your hips at the widest point. These tend to be a snug fit so choose a larger size if you are close to the maximum measurement for any given size. F1 76 - 86cm 30 - 33.5"
F2 87 - 98cm 34 - 38"
F3 99 - 111cm 38.5 - 43"
F4 112 - 125cm 43.5 - 48.5"
F5 126 - 140cm 49 - 55"
The Lumbamed. 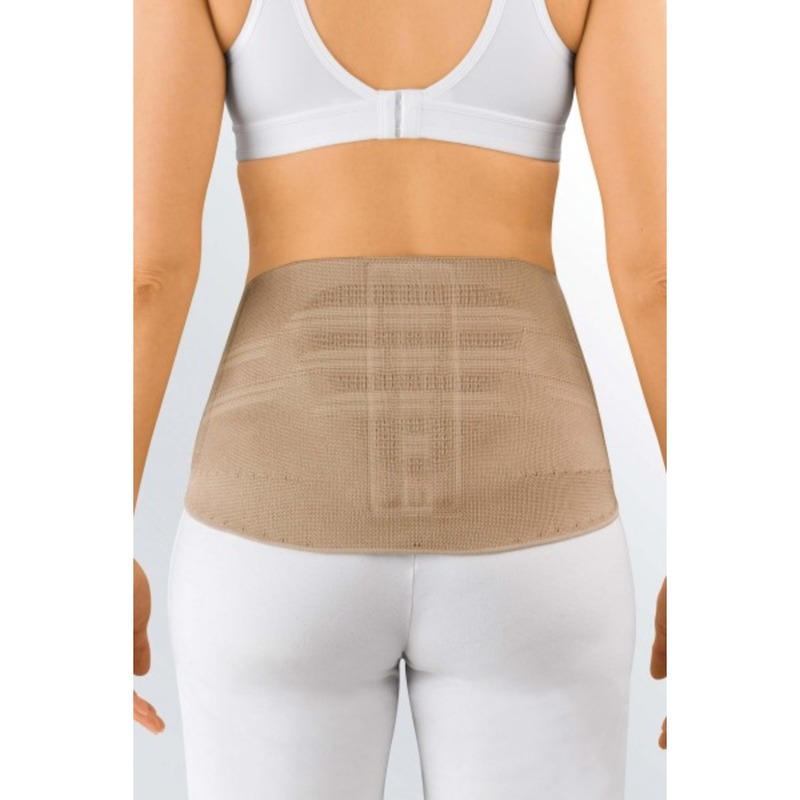 Plus amazed me by its comfort and ease of wearing for my lower back pain which was diminished within a morning . Now I only have to wear it when gardening to protect my back, giving me freedom to enjoy a very happy pastime. If I ever feel a slight twinge I wear it for an hour to give me comfort. The efficiency of the company was impressive. Thank you, and I shall certainly recommend to all who have discomfort in their back. 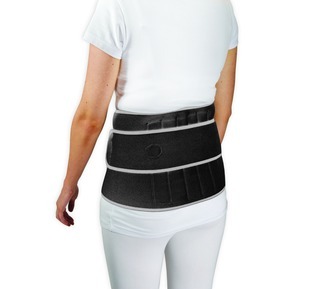 I have suffered with a bad back for years but this back brace is amazing. Have bought two of my friends one as well and they cant believe how incredible they are. worth every penny ! Dear Brenda, Many thanks for taking the time to send us your feedback.. such a great review is always pleasing to hear. Makes all the hard work behind the scenes so worthwhile. I didn't really expect it to work so well! At 83 I thought lower back pain (from a lumbarised sacrum) was something you had to live with. I can't tell you how good it is not to hurt!!!! Also, excellent service and delivery. 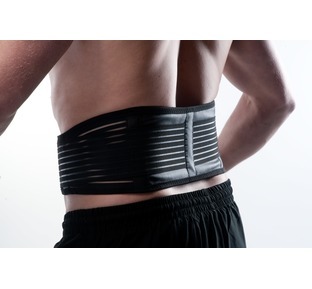 Very helpful supporting my lower back, well made product. 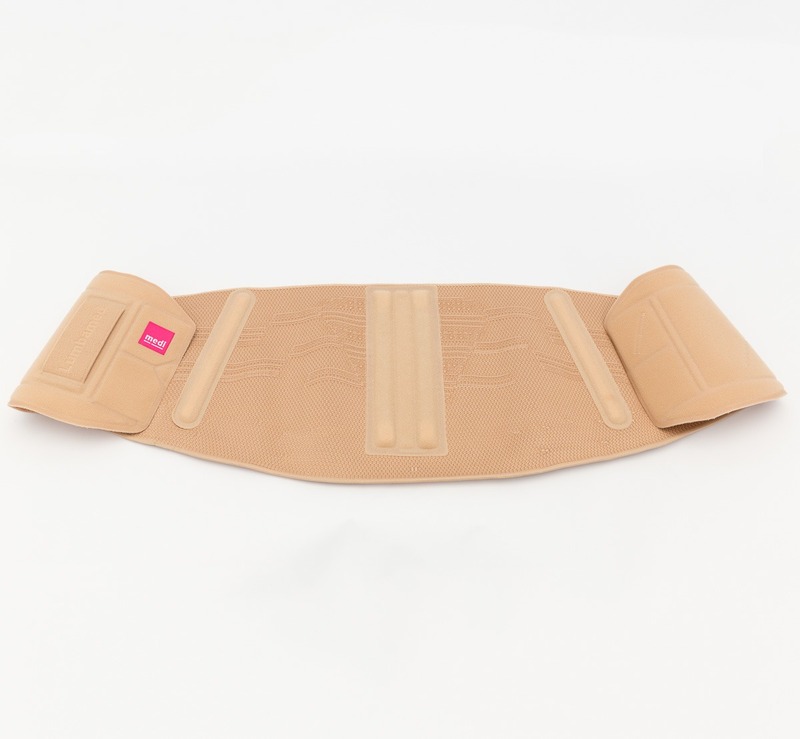 I think this item is well made and of good quality.It arrived very promptly and fits well.It has provided me with some relief from low back pain and sciatica, but not as much as I had hoped from reading other reviews. I have had to stop gardening, and am still unable to do any, for example.I find it tends to ride up a bit when walking, which is the one activity which reduces my pain. Purchased this as I have had my Facet Joints injected and it didn't really work. Have trouble walking any great distance due to pain and thought I'd try this. Well it certainly has done the job - walked about 2 miles recently (first long walk) and it made a huge difference. Also used it for gardening, but possibly due to my continuing treatment, I didn't notice too much difference with regards to my pain levels. I would definitely recommend this 100% for support for walking, if that is where your main problem is. I placed my order on a Friday and was surprised to receive it the following Tuesday as i live in France. The difference it has made is life changing for me. I have worn discs in my lower back and anything to do with bending over was painful. I have done so much gardening in the last week more than i thought possible and walking the dog has become a pleasure again rather than a chore. This has to be my best investment so far. Thank you. Just to say a massive thank you for a wonderful customer service. Not only did you ring re my queries, but posted it super quick when I'm praying for it to come as in so much agony with back. Mr Postman looked at me funny when I gave a old thumbs up & cheer. Got it on now with heat pad, what a relief & so comfortable. Without looking I have a bullet proof vest on under my clothes!! Thanks again, I'm one happy pain free customer!!! Comfortable fit.Has helped enormously (lower back pain)Gives support when I am doing jobs which I know may aggregate my condition. I am a petite lady and was pleased to find a back support specifically cut for women. The F1 I bought fits me perfectly over my hips and waist unlike my old back support which I am sure was universal. Thank you Bad Back Company. Extremely comfortable fit. Much better than my previous unisex back support. 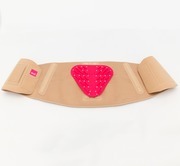 A fantastic fit, definitely shaped for ladies, really helps support my back when mucking out and riding my horse. Well worth the money and speedy delivery was a bonus. Dear Elizabeth, The Lumbamed plus, does not ride up like the generic back support. It is specifically designed to complement the feminine shape which allows it to stay in the correct place and support the spine in a positive way without moving or being uncomfortable. Please Select SizeXS 22"-26.5"Small 27"-32"Medium 32.5"-38"Large 38.5"-45"XL 45.5"-53"
"Designed specifically for women this is a high quality high comfort back support"